Get the best vehicle-shipping value, whichever option you choose below. Our Quick Quote system taps real-time pricing from more than 8,500 drivers, so you are assured of the most competitive quotes. All-inclusive. No taxes. No fuel surcharges. No hidden fees. From booking to delivery, you can count on clear communication and peace of mind for you and your vehicle – door to door. Our core values of integrity, accountability and service excellence go beyond the norm to minimize any surprises. 100% Money Back Guarantee (i) If your plans change, we understand. Need to cancel or reschedule your car transport? No problem. You cancel anytime up to the date of dispatch. Open carriers are the industry standard, and more than 75% of our customers find this cost-effective combination of service and value is the most attractive option. Trailer size varies from 3-10 cars, and we can typically arrange for pickup within 2-7 business days, depending on your location. This “Best Value” transport includes full insurance coverage, door-to-door, with $0 deductible. It is the equivalent of flying “Coach” class on an airline. Your car is probably more than just a driving machine. Whether it’s your grandfather’s classic, a high-end sports coupe, or a luxury car from a dealership in another state, your vehicle deserves both total protection from the elements, and first-class level of care. That’s never more true than during shipping. For many buyers, enclosed auto transport offers the best combination of assurance and value. Need transport ASAP, or a guaranteed date? Express auto transport, also known as expedited car shipping, guarantees your choice of (a) exact pickup-date, or (b) exact drop-off date, or (c) the shortest possible time interval between pickup and drop-off. This option is available whether you are shipping on an Open or Enclosed trailer, at an additional cost of 30%. 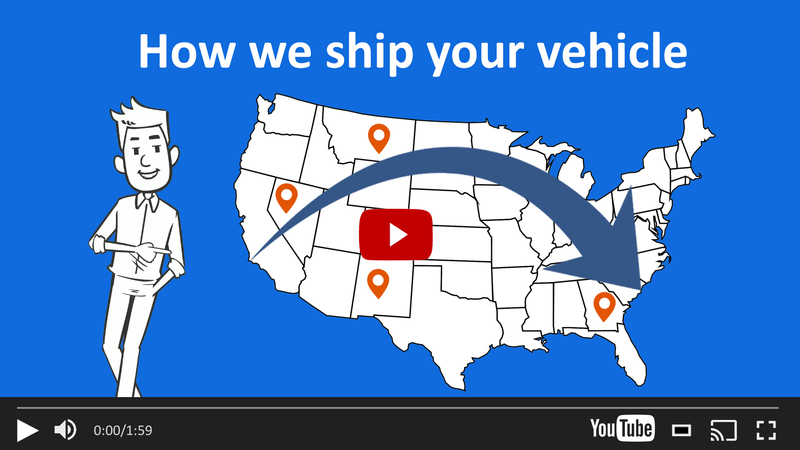 When your schedule allows no flexibility, Express car shipping is your best bet. If we're unable to fulfill our commitment, we will refund the 30% premium PLUS give you an additional $100 discount.